Your ecommerce website is your business’ digital store-front. Let AMG help you create a great impression with ecommerce design. Just like its brick-and-mortar counterpart, your digital store should function the same way – from an eye-catching window display to organized aisles of products to the cash registers. Automated Marketing Group designs ecommerce sites with this in mind – your website will not only look flawless, it will draw customers in and lead them through their purchase effortlessly. Customers can browse your product pages to find what they are seeking. Product descriptions, photos, and product reviews give your customers all the information they need to make a purchase decision. 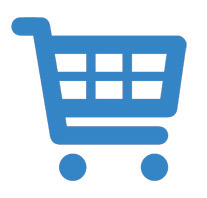 A fully functioning shopping cart lets customers browse your products and check out through a safe and secure payment page, with SSL certificates to show your authenticity and security.